Second call for papers. 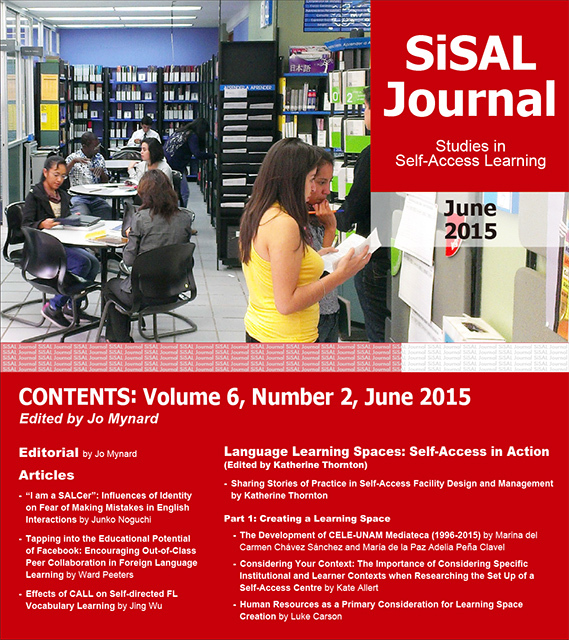 Special Issue on Self-Access and Young Learners. December, 2015 (Volume 6, Issue 4) edited by Annamaria Pinter, Robert J. Werner and Jo Mynard. DEADLINE FOR SUBMISSIONS: August 10th, 2015. Read more..
Pre-call for papers. 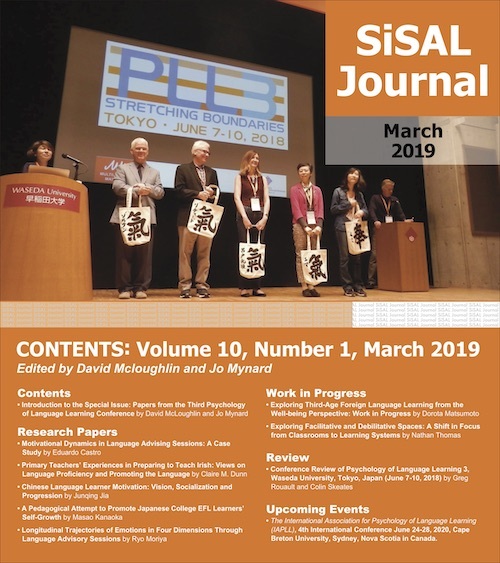 Special Issue on Virtual and Other Learning Spaces. June, 2016 (Volume 7, Issue 2) edited by Curtis Edlin and Jo Mynard. DEADLINE FOR SUBMISSIONS: January 15th, 2016.